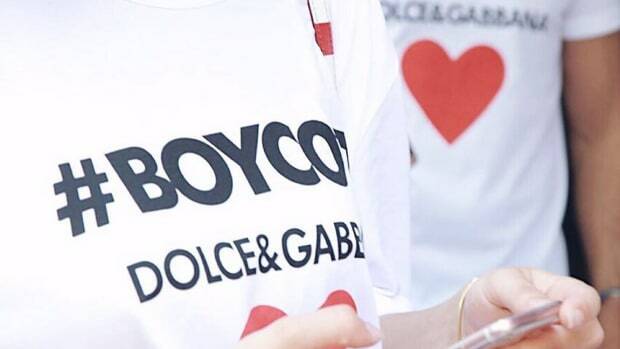 Hey, Quick Question: What the Hell Are These #Boycott Dolce & Gabbana T-Shirts? Have we not learned anything at all from Kendall Jenner's Pepsi commercial? Gucci really knows how to make a first impression, and what better way to do that than nabbing the cover of a magazine? How about 81 of them? It looks like Gucci's overachieving has awarded them the top spot in the seasonal cover war with more covers than any other brand from the fall 2012 collections. Click through to find out which other brands scored the most covers this season. Last year we crunched the numbers to find out about the average Vogue cover. How old was the average cover subject? Where did they come from? What were they wearing? Who photographed them? All very important questions, indeed. So much so, that we thought they needed to be asked again. All The September Issues At a Glance: Who Were The Top Models, Photographers and Labels? Another wave of September and fall magazine issues have come and gone, which means that it is time to take a look back at the content from the most important month in fashion. Editors select the best and brightest (both talent and clothing) for their most important issue, but who and what actually got the most face time? Who surprised us? Listen: Ice-T's Wife Coco Lists 16 Shoe Designers In Her New Single "Shoe Freak"